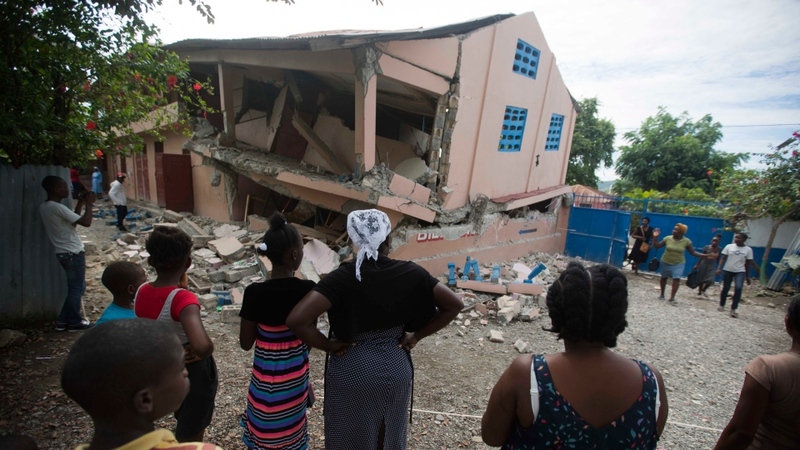 PORT-DE-PAIX, Haiti -- A magnitude 5.2 aftershock struck Haiti on Sunday, even as survivors of the previous day's temblor were sifting through the rubble of their cinderblock homes. The death toll stood at 12, with fears it could rise. The U.S. Geological Survey said the epicenter of the aftershock was located 9.8 miles (15.8 kilometres) north-northwest of Port-de-Paix, the city hard hit by Saturday night's 5.9 magnitude earthquake. Sunday's aftershock had a depth of 10 kilometres. President Jovenel Moise urged people to donate blood and asked international aid agencies to co-ordinate with local agencies to avoid duplicated efforts. 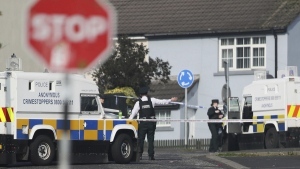 By Sunday evening the government didn't provide an estimate of the damages. The USGS said Saturday's quake was centred 12 miles (19 kilometres) northwest of Port-de-Paix, which is about 136 miles (219 kilometres) from the capital of Port-au-Prince. Je suis en contact constant avec le PM @jeanhenryceant qui doit coordonner les opérations de secours. Je lui ai demandé de mobiliser toutes les ressources de la République pour venir en aide à la population.